Using a Digital Twin for improved decision support and reduced cost. Subsea Wellhead Integrity Monitoring (SWIM™) measures accumulated load and other critical parameters on the wellhead during drilling operations, providing KPIs and prediction analysis on a digital platform. Autonomous sensors are placed on the BOP, monitoring BOP movements, and data from the sensors is transferred wirelessly to the ROV. The drilling team receives live update regarding wellhead integrity every time the ROV collects data – typically every hour to four times a day.​ No extra personnel are required on the rig. 4Subsea is awarded the 2018 Product Leadership Award from analyst company Frost & Sullivan for SWIM™. 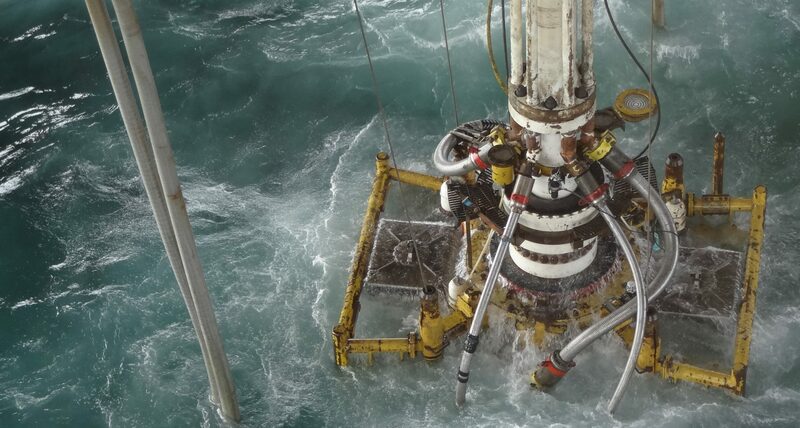 SWIM™ is a well documented and tested solution for monitoring the main barrier while drilling. The system can be extended to provide live monitoring of drilling risers and conductors. SWIM™ uses machine learning to predict into the future and artificial intelligence to detect and manage shallow gas/shallow water, structural failures in the wellhead, and conductor instability issues. With SWIM™ operators can reuse critical wells and maximise lifetime of wellheads by scheduling drilling operations based on well criticality, historically accumulated load on wellhead, and predictive models assessing expected load on wellhead from next drilling operation based on weather forecast. 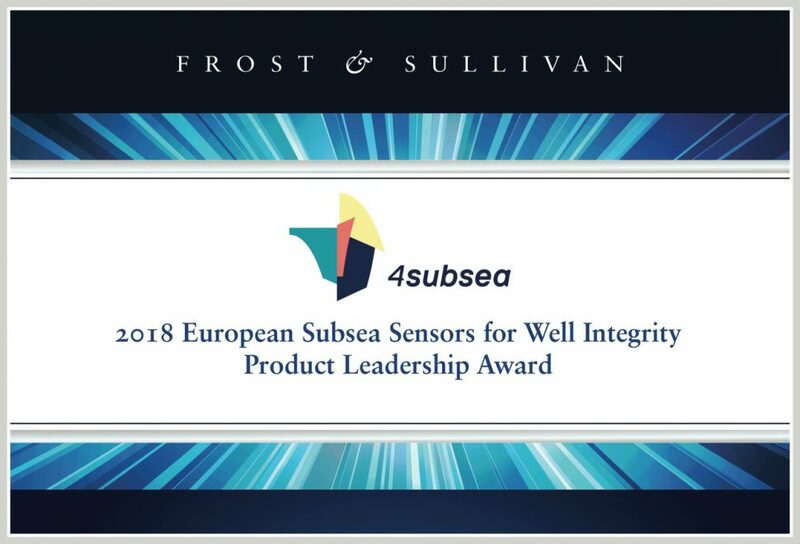 The 4Subsea team is very proud to inform that we have received the 2018 Product Leadership Award from analyst company Frost & Sullivan for our SWIM™ sensor solution.